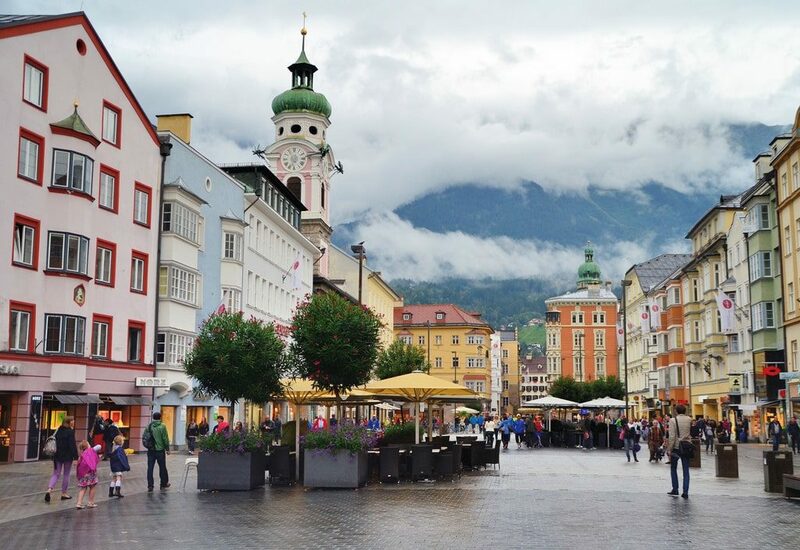 Innsbruck is one of the best places to visit in Austria because it has something for everyone. From historical monuments to natural spots and adventure sports, you will not miss anything when you are here. It is widely acclaimed for its ski resorts and winter sports too. If you are planning a trip to this amazing destination, here are a few attractions that you must see while you are there. The Hofkirche or Court Church is an ancient church that dates back to the 16th century. Emperor Ferdinand constructed it as homage to Emperor Maximilian I, who was his grandfather. The most noticeable feature of the church is an empty black marble tomb surrounded by bronze statues. There are 24 reliefs which depict the various events from the Emperor’s life such as his victory over the Venetians and his marriage to Mary of Burgundy. If you want to capture the true essence of the city, be sure to visit Old Town Innsbruck that gives you a glimpse of its amazing history. In fact, it would be a great idea for history buffs to take transfers from Innsbruck airport and reach right here. The place has some iconic landmarks such as the Folks Art Museum, the Imperial Palace and the Golden Roof. You can see Gothic and Baroque architecture everywhere and have a walk down the pages of history. If you are a nature lover, then Lake Natterer is just the place for you. The scenic lake is a treat for the eye as well as an exciting destination for families. You can enjoy swimming and water sports here, in addition to games like badminton, table tennis and beach volleyball. For the more adventurous ones, it has a shooting range where you can try your hand with air rifles and crossbows. Close the tour with a visit to the picturesque village of Natters that offers attractions such as skiing and hiking. Another destination that you must absolutely not miss while in Innsbruck is Swarovski Crystal Worlds. Swarovski, the world famous crystal brand, has created this exciting and vibrant display that leaves you spellbound. It offers several interesting displays about the brand in addition to some attractive outdoor areas. The most amazing amongst these is the large sculptured face with a waterfall. Get ready to be dazzled by thousands of crystals in the “Chambers of Wonder”. The Bergisel Ski Jump is a must-see attraction for those who have a flair for adventure sports. In fact, the place has been used as a venue for the World Championships and the Olympic Games. You can watch skiers speed down its 90 m slope or enjoy the fabulous view from the top. There is also a café and restaurant here to relish amazing meals and drinks while you relish the awesome views of the peaks of Nordkette and Hohe Munde. The list does not just close with these fabulous offerings of Innsbruck as there is still a lot more that you can see here. Check out the destinations such as Audioversum – ScienceCenter, Glockengiesserei Grassmayr, Tyrol Panorama Museum and Hofgarten for a trip of a lifetime.